A total of 10 teams from various countries competed 'Clipper 09-10 Round the World', sailboat racing event which started and ended in Humberg, United Kingdom (UK). All ten teams with the crew of the 180 people covered a distance of about 40 thousand miles. The mechanism of this competition by Ricky Tjong, Deputy General Manager Nongsa Point Marina (NPM) Resort, held for 10 months with the start and finish in Humberg UK. "This year is the third time, which the NPM as one of the Pit-Stop, I hope this event continues to walk in the following years, and we should be proud of Batam can be used for Stage stops next" Ricky said. On Stage to the fact 5 is scheduled to pass by the participants at the January 19th date, was forced to moved forward two days due to weather reasons that are not friendly. "Should the group with the number 10 team is scheduled to arrive diperairan Batam, precisely in the NPM on January 19 next, but with bad weather reasons brought forward to January 17 yesterday. We all participants was preparing for the next Stage to China which will start from NPM on Saturday (23/01). 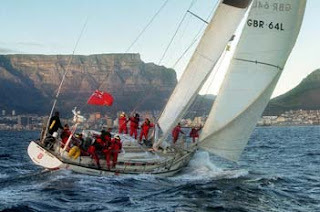 Ricky added, biennial event 'Clipper Round The World' will be scheduled in the national tourism calendar. "This has got support from Batam City Tourism Office, so next year likely will be attended by Minister of Culture and Tourism" Ricky said. In Stage 5 with the NPM to the Pit-Stop, timCape Breton Island, participants from Canada, performed brilliantly. The team is commanded by a captain in January was successful Ridd finishing touches to Stage 5 in the strait to Singapore at 09.14 wib week (17/01). Despite allegations of Cape Breton Island, successfully beat a tough team from Australia, the Australian Spirit, which touched the finish line at 09.29 wib or 15 minutes after the Cape Breton Island. Participants of the 3 who came to the finish line is the Lightning Bolt Jamaica Jamaican origin who arrived in Singapore straits at 12:59 wib, then followed by the 7 other participants. The whole team is back in yacht NPM to rest. On the other hand, Turi Beach resident manager, Tommy Susanto who contacted via phone states, while in Batam, all participants who numbered 180 people will be staying at the Turi Beach Resort. During the six-day stay, the participants will be taken to several tourist attractions in Batam.